Yesterday I declared my love for Blend, the blogger retreat officially sponsored by Chobani. If you happened to miss the recap of this amazing weekend, be sure to check it out! 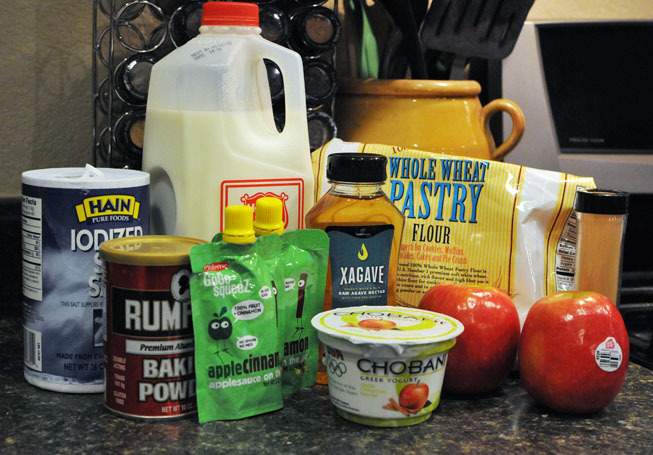 Today I am excited to share my newest Greek Yogurt bread recipe with you - Cinnamon Apple Bread - along with my newfound love for Chobani. 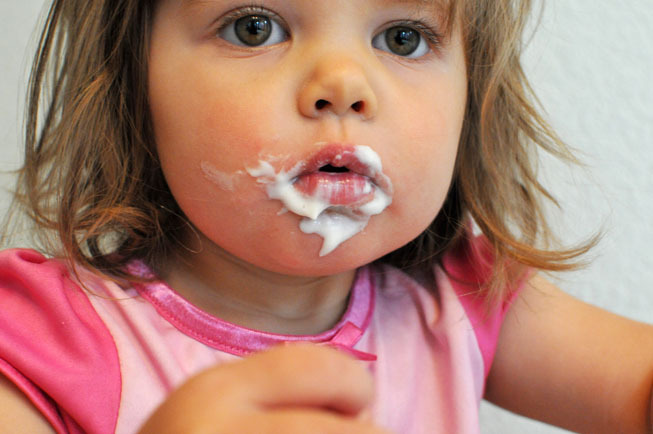 Growing up I never liked yogurt, and now it's a part of my daily routine fuel. I love that it is so low in sugar, is super creamy, and has TONS of protein! I eat it straight out of the container, or baked into yummy breads...or both! If you haven't seen (or pinned) my Greek Yogurt Strawberry Banana Bread or the Blueberry version, or the Orange Cranberry Clove version you should! 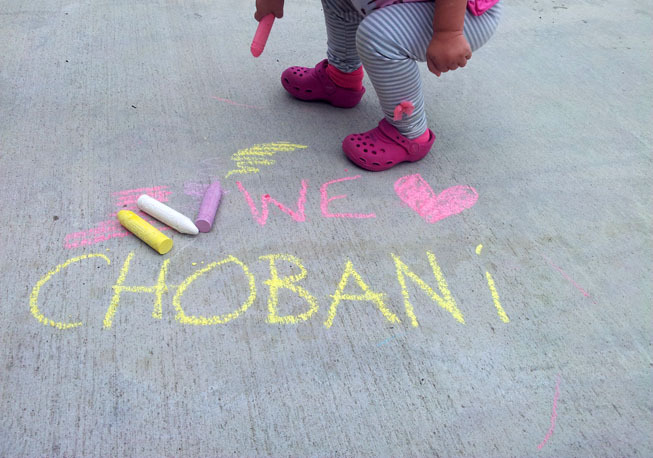 After all that hard work drawing on the driveway with chalk, we celebrated our Chobani love with, you guessed it, some Strawberry Banana Chobani! Babycakes saved some for later :) I love that sweet face!! So without further ado, here is the next delicious creation in my series of Chobani breads. First I gathered my ingredients. This bread has no added sugar, but instead features Xagave, and it is also egg-free. This was my first time cooking with Xagave, and I'm quite pleased with how it turned out! It is calorie for calorie the same as sugar, but you only need to use half the quantity. It also doesn't affect your insulin levels like sugar does. (I met the owner at the Blend Retreat, and he shared that he developed this product to help his mother who was suffering from diabetes.) It also helps in the absorption of calcium, which this bread is chock-full of! So win, win, win!! I used a shortcut and microwaved a ceramic bowl full of diced pink lady apples to soften them before baking them into the bread. The batter was a bit thicker than the strawberry or blueberry versions, but it baked up just perfectly! 50 minutes at 350 degrees, and voila! Reminiscent of apple pie, but with none of the guilt :) Warm, moist, and full of flavor. 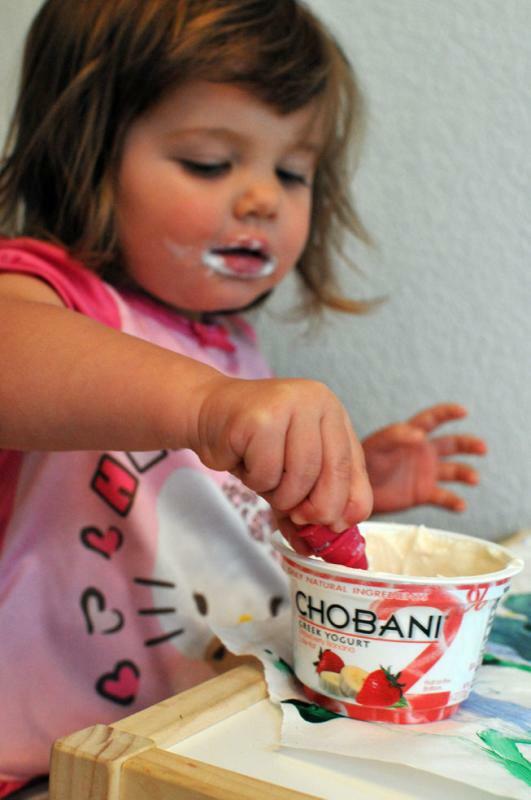 Have you fallen in love with Chobani yet? Have you tried one of my yogurt breads? What did you think? 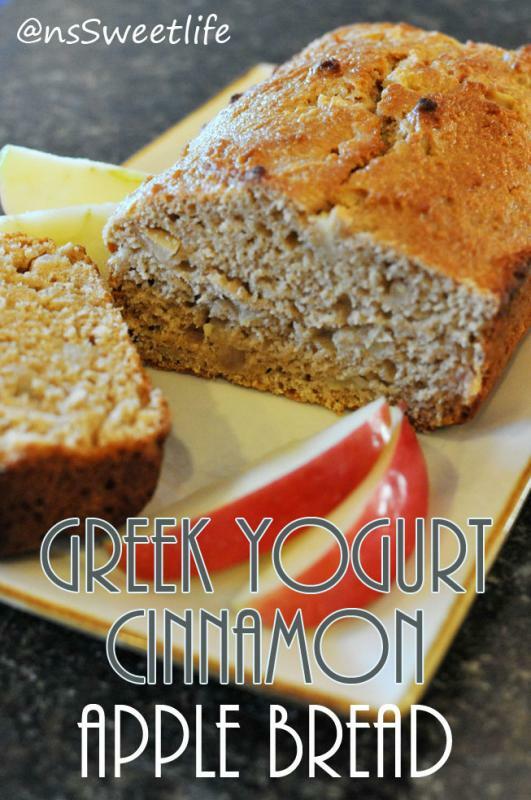 Warm Cinnamon Apple Bread made with Greek Yogurt. Preheat oven to 350. Start by combining flour, baking powder, salt, and cinnamon in a mixing bowl. 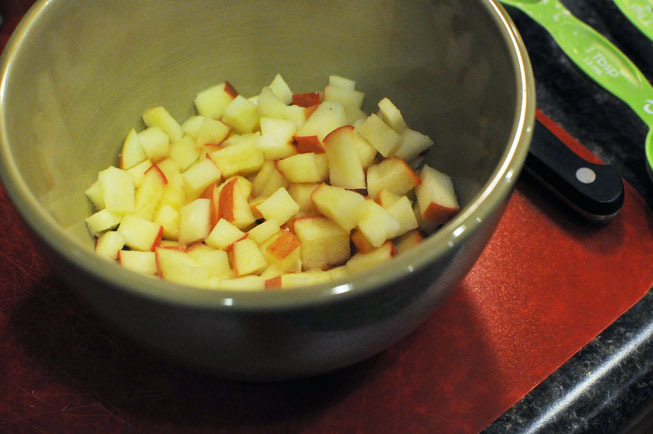 Microwave diced apples for 2 minutes to soften. In a separate bowl, add Xagave, greek yogurt, milk, applesauce and softened diced apples. Pour the wet ingredients into the dry ingredients, and mix until just combined. 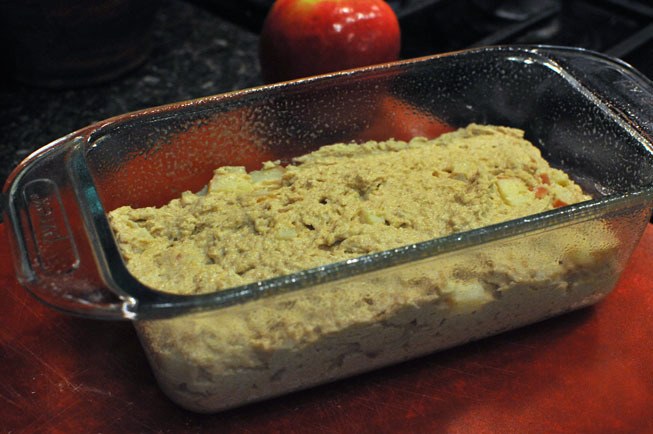 Pour the batter into a greased loaf pan and distribute evently. Put into the oven and bake for 50 minutes, (or more) until the top is golden brown and a knife comes out clean. Transfer to a cooling rack and let the bread cool for at least 10 minutes before slicing. Serve warm with butter, or refrigerate and enjoy later.